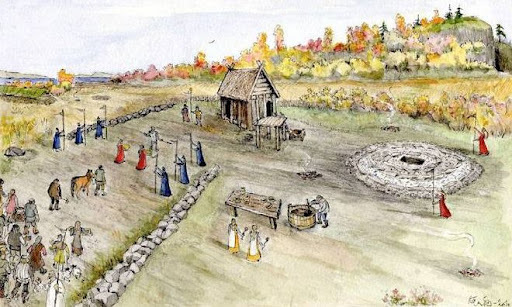 I seldom write on Iron Age, never mind the Middle Ages, but this finding has really touched me: a Pagan temple was unearthed in Ranheim, not far from Trondheim (Norway). Its last community run away from Christian intolerance, as is attested by the sagas, but first buried their holy precinct so the theists could not destroy and profane it with their crosses and exotic rituals. … a stone-set “sacrificial altar” and also traces of a “pole building” that probably housed idols in the form of sticks with carved faces of Thor, Odin, Frey and Freya. Deceased relatives of high rank were also portrayed in this way and attended. Nearby, the archaeologists also uncovered a procession route. At first researchers thought it could be some sort of burial mound but they eventually recognized it as a temple. The members of this community, as attested by historical sources, were probably among the many to flee to Iceland, where there was initially more tolerance. It was in Iceland in fact where many of these sagas were written. The temple was probably buried under the reign of the first recorded King of Norway, Harald Fairhair (872-930). The location of the [planned] housing could easily be adapted to this unique cultural heritage [site], without anyone losing their residential lots. It could be an attraction for new residents, telling them much about the history of the facility over 1000 years ago. Unfortunately, housing construction is now underway. It would be indeed a pity and a crime against heritage if the construction is not stopped immediately. Sources and further reading: The Archaeology News Network, Yahoo! News. Ice-free pockets in Ice Age Scandinavia? New research suggests that there could have been some ice free pockets in Ice Age Scandinavia, generally believed to have been as completely covered in ice as Greenland is today, and that pine and spruce varieties may have survived in them for tens of thousands of years. 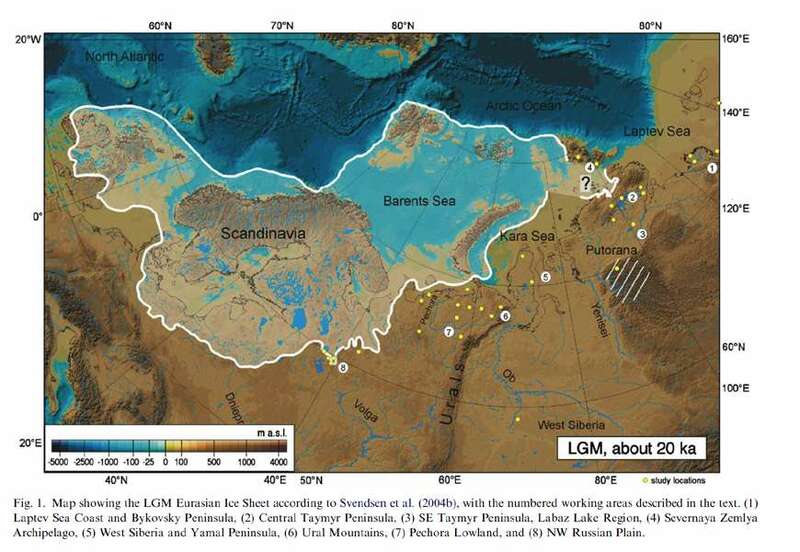 Laura Paducci et al., Glacial Survival of Boreal Trees in Northern Scandinavia. Science 2012. Pay per view. It seems that some modern Scandinavian trees do not have direct southern ancestors but also that there are sedimentary layers with their pollen belonging to the Ice Age. This challenges the generally accepted paradigm that imagined Scandinavia fully covered in snow-ice for much of the last Ice Age. C: The limits of glacial debris deposited during the Würm (last) Ice Age. D: The limits of glacial debris deposited during the Riss and Mindel (earlier) Ice Age. 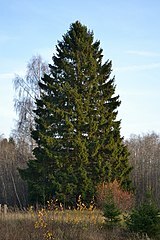 “The other evidence, which supports the surviving conifers in the midst of an ice age, originates in Trøndelag, central Norway. One hypothesis is that trees were able to survive on the top of nunataks, the exposed ridges or peaks of mountains protruding from glacial cover, or in more sheltered areas close to the coast where proximity to the temperate conditions of the Atlantic Ocean favoured survival.